November brimbles sticker club crafts ITS CHRISTMAS!! The November brimbles sticker club kit this month is so full of Christmas spirit and I just couldn't wait to get into it. I did an unboxing of It on my channel if you wanted to take a look. Theres one Christmas craft I really wanted to try, and that was make a paper Christmas wreath. I used various papers from some Christmas paper pads I had in my stash. I made a lot of paper rosettes I have a how to video on how I make these, and then glued then onto a cardboard ring I had cut out. I then stuck some of the decorative stickers from the kit onto some plain white card stock and fussy cut them out, I did this so they would sit nicely on top of the rosettes. I then used some of more functional stickers that came in the kit to help me in my Christmas planner , before I did this I did do a flick through video of how I set it up each year if your interested. I used them and the Washi strips from the Washi sheet to create two new pages In my Christmas planner. the first one is a xmas crafts page, I really want to do some Christmas crafts with the kids on the weekends leading up to Christmas. on the left is a space for me to write down all the supplies I need to buy for each craft. then on the right a space to either write or sticker pictures of what we want to make. Then the next page I made was this one that is me keeping track of the flat Christmas decorating. and space to write or stick in some ideas of how id live to decorate the flat for Christmas. I then did a page in my art journal and I just went crazy and did what I felt like. I love just letting go in here and creating. I was inspired to do this age in my creative journal, this is a photo of my daughter Mia. We had some to one of my best friends Clare and husbands house warming BBQ. Mia loved it and she was soon dancing round the garden like a loony. I stuck the photo closer to the bottom and used some of the stickers from the decorative sheet to embellish. I loved that one of the frames on the sheet had September pn it so I could use it on this page as this event Was in September. I really loved how this page came out and I think the colours really capture the feeling of autumn. 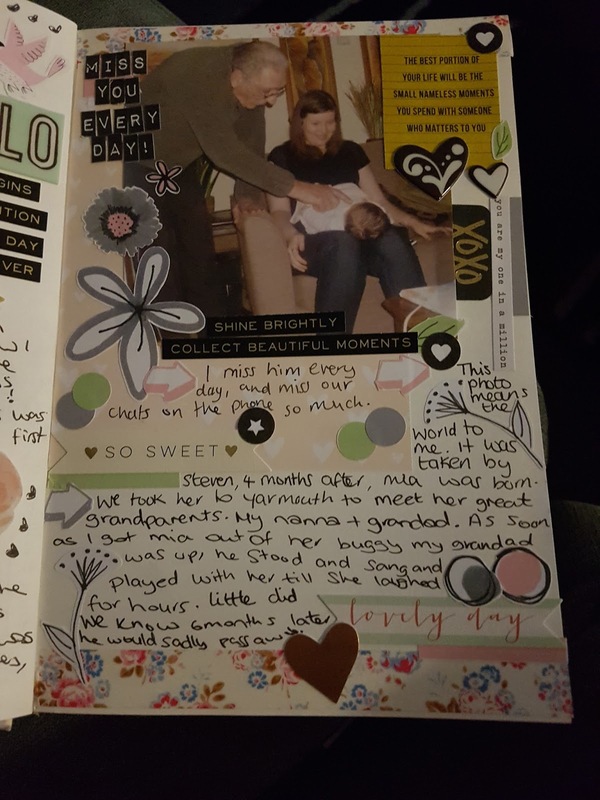 So when it comes to creating, weather it be scrapbooking, art journaling , creative journaling , smashbooking or any other form of memory keeping i thought it had to be big life events or happy memories. 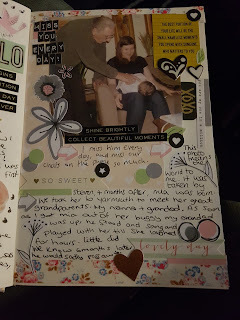 When i see this months brimbles sticker club kit i felt inspired to create a page in my creative journal. i recently got married, and it was the best day of my life. However i knew it would make me really miss my granddads. Sadly 5 years ago i lost both of my granddads within a month of each-other. it was one of the hardest times in my life, and adding to that i had a baby to try and take care off it was really trying times. This page was dedicated to one of my late grandfathers Anthony ( tony) this photo was of him meeting my daughter Mia for the first time. As soon as i got her out of her pushchair he was up and standing here next to me. Singing to her and chatting to her making her giggle. He told me about how he would sing the same songs to me as a baby. 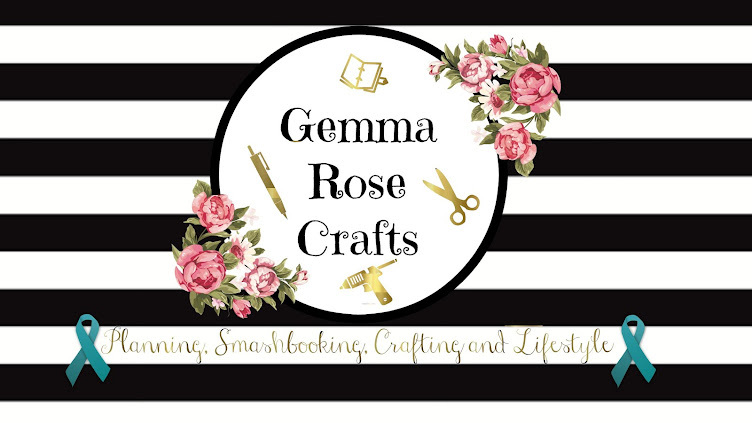 Whilst i was creating this page, i couldn't help but be moved by all the memories that came flooding back, memories that id forgotten about and felt so blessed to have them all coming back to me. Although it was emotional creating this page, its defiantly my favorite. So although its amazing to be able to capture and savor all the happy memories make sure you create pages that can help you remember the memories that may other wise have been forgotten. I really loved the August Sticker club kit this month. I did an unboxing of the kit on my channel . i really loved the pastel colours of the flowers i knew i wanted to use them in my journal. This Page is about my last therapy session, id finally gotten signed off from therapy and wanted to document it, i used one of the stickers from the decorative sheet that looked like a paint streak, and then used some of the numbers from the alphabet sheet to put in the date of the last session. I also loved using the letter stickers on my scrapbook pages. I also used one of the cat stickers as an embellishment for this page. When i unboxed the July Brimbles Sticker subscription from Mrs Brimbles Shop i loved how fun and bright it was. one of the sheets that came with month was a decorative sheet. when i see that sheet i instantly thought it would be great to help my daughter Mia who is 5 to make some flash cards for herself to help her with her writing and spelling. First she picked which sticker she wanted to use. she then stuck the sticker on one of the pieces of white card stock i had already cut to size for her. She loved that there was multiples of some of the fruits in different sizes, she had alot of fun explaining which ones she thought where the 'mummy' ones and which ones she thought where the 'baby' ones. 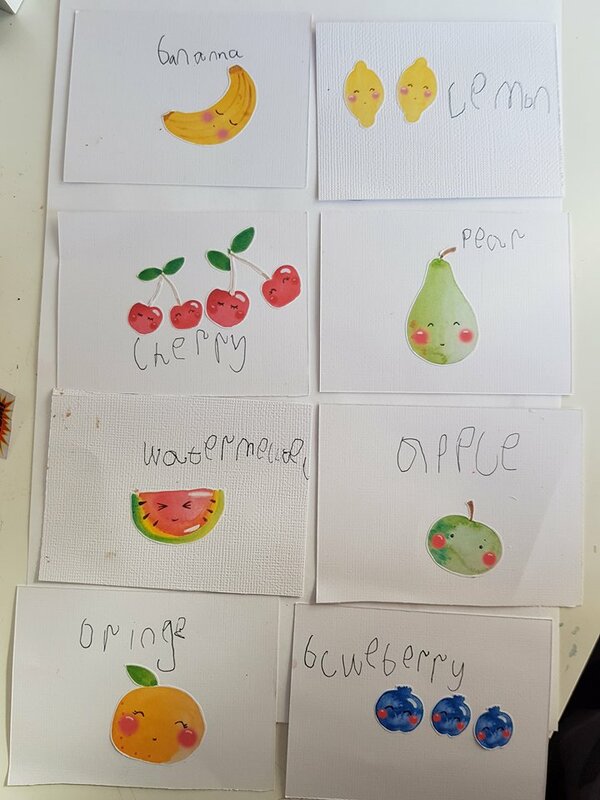 Once she had done that she then wrote down what fruit she thought it was and how she thought it was spelt. i really love how these come out. it was a really fun activity for her and for me and a great bonding activity.